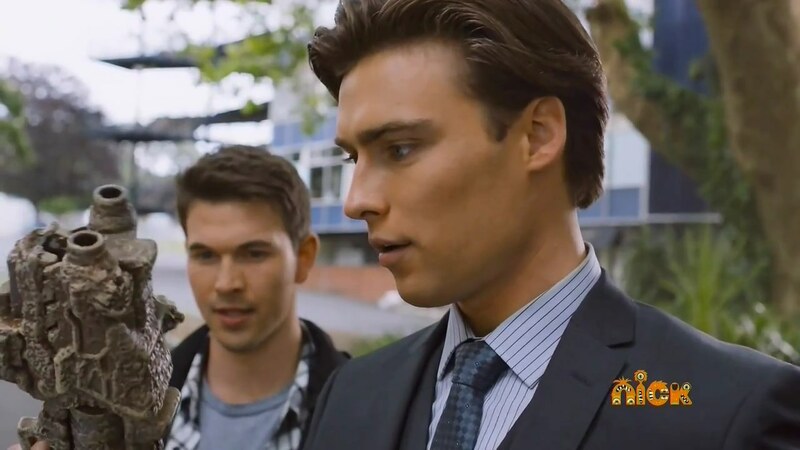 Recap: Power Rangers Dino Charge, Episode 15 – "Is it morphing time?" Prince Philip is training with a robot, hoping his moves will impress his Ranger friends. A huge fossil that has been found is brought to him and he dismisses all his people so he can open the skull himself. And inside the fossil, he finds the Graphite Energem! He is excited to make his kingdom proud… but he can’t morph. Up on the ship, Sledge has ordered Fury to clean the cellblocks. Poisandra comes along to order Fury around some more, but then gets grabbed by the thing inside the mysterious cell. Fury takes this opportunity for some brownie points and saves Poisandra just as Sledge arrives. For his continuing loyalty and servitude, Sledge gives Fury another chance to destroy the Rangers. 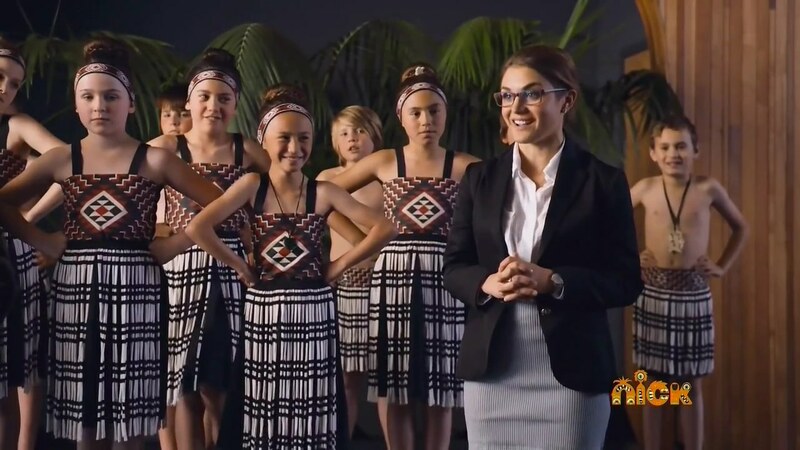 A group of Maori children from New Zealand, including Chase’s little sister Chloe, are performing at the museum. Chloe hopes to go skateboarding with her big brother, but he has to go. Ivan is fighting Fury downtown. The Others arrive to fight off Vivix. But Prince Philip’s robot, G-BO, arrives to help… sort of. It actually gets in the way. Fury retreats and Prince Philip appears. The Rangers thank him for the attempt at helping, but no thanks. Ivan goes after Fury, but the Rangers go after the group of Vivix that’s just kidnapped G-BO. Fury has Wrench reprogram G-BO into a fighting machine THEY can control. Back at the museum cafe, Prince Philip talks to Koda about how he got his Energem to work. Koda explains how the Energem chose him and must be worthy. Prince Philip donates crates full of fossils to the museum, donates food to a soup kitchen, donates wheelchairs to a hospital, donates a park to the city and loads of money to various charities. But the Energem is still unresponsive. Though he’s got lots of thank you letters. Chase is trying to spend time with Chloe, but Shelby calls with an emergency. Really, just to meet with Prince Philip who tells them about finding the Graphite Energem. He tells them about hoping to bond with it, but since he hasn’t been able to, maybe they can find someone “more fitting” for it. Just then, Fury arrives and attacks them with some Spikeballs, Vivix and nuG-BO. Prince Philip’s security detail ushers him away as the Rangers battle. Chloe comes running to her brother to give him her gift. But she gets caught in the crossfire. For some reason, Fury tells G-BO to kill the girl. The others can’t help her. But Prince Philip can! He runs over and carries Chloe to safety. Chase hurries over and thanks Prince Philip while telling Chloe to go with the bodyguards to the museum. Suddenly, the Graphite Energem glows and flies over to Prince Philip… and bonds with him! He gets his own Dino Morpher. The SEVEN Dino Charge Rangers morph. Prince Philip takes on G-BO. Fury combines the Vivix into a Vivizord. But Tyler is hurt. Kendall tells Prince Philip to summon the Pachy Zord. Pachy Zord easily destroys the Vivizord and Prince Philip easily takes out G-BO with a Royal Dino Punch. Fury returns up to the ship and is met by Sledge’s yelling. Chase finally is able to spend time with Chloe. But she has to go now. Before she does though, she gives him her present for him: a plane ticket to New Zealand so Chase can visit mum and her for Christmas. Prince Philip is in the command cave and expresses his realization about how he was able to become the Graphite Ranger. He has to return to his kingdom to fulfill his royal duties. 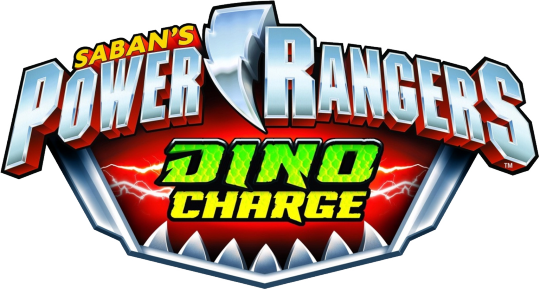 The Rangers can use the Pachy Zord and Graphite Chargers while he’ll keep the Energem safe. And if they ever need him, they can just call. Now that was a fun introduction! Off the top of my head, I can’t remember another character who actively worked to become a Ranger. I guess the Samurai Rangers were prepared to follow in their parents’ footsteps. But Prince Philip had zero connection to, I dunno, the Morphing Grid or whatever. (lol) Yet, he did what he could to become a Ranger. It’s an interesting and refreshing angle. And I think the episode played out very well. 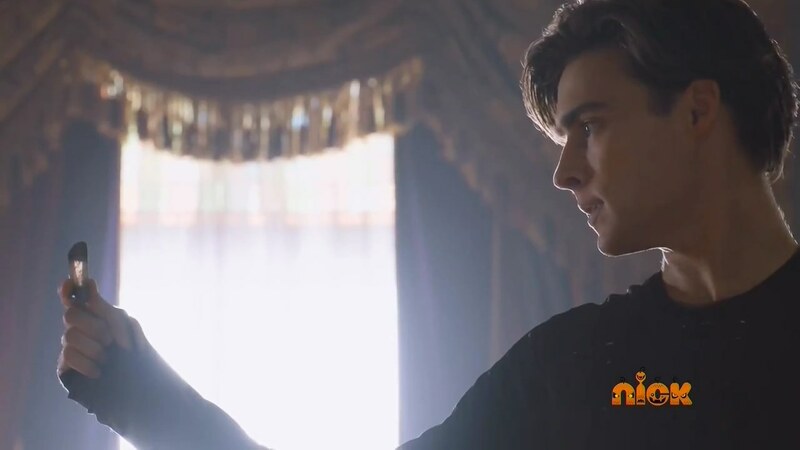 But there were plenty of details that didn’t make sense like how Prince Philip did all those good deeds including full construction of a park while also flying back to his kingdom in the same period of time Chloe waited for her big brother at the park. But the overall story of the episode worked well enough that the details can be overlooked without affecting the end result. So they borrowed G-BO from Brave 15 which was a Nobu-focus episode and used him in a completely different way. And they took Pachy Zord’s debut in Brave 17. That also means lots of original NZ footage! Woohoo! Back to the details though, after rewatching the Kyoryuger episodes, Graphite Ranger’s arms are a more blue shade than KyoryuGray’s. I did a double take watching the Dino Charge episode and now realize it really does look different after seeing Kyoryuger again. It’s interesting because it’s happened in the past where the footage is to sort of to blame. 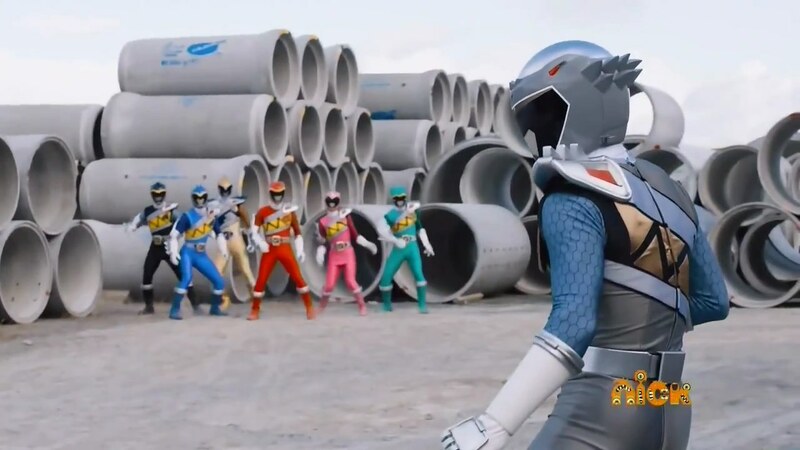 In Megaforce for example, the Gosei Blue suit is a dull shade of blue, while Megaforce Blue was 5x brighter and more vibrant. I think in general, the NZ footage has all the Ranger suits brighter than the original Sentai footage. So the blue arms on Graphite are a little jarring, maybe? But it’s okay. Overall, a good, fun debut for Graphite Ranger and a re-debut of Pachy Zord (after last week’s out of order Halloween episode lol). ← Recap: The Amazing Race 27, Episode 5 – "My underthing is just coming off." Oh boy, only 5 episodes left to wrap up the best PR season of the Neo-Saban Era. By the way. Is it true that in Kyoryuger there isn’t much KyoryuGray footage? I have heard that’s the “real” reason why the prince leaves the Rangers. This was the episode I was looking forward to. And it did meet my expectations. 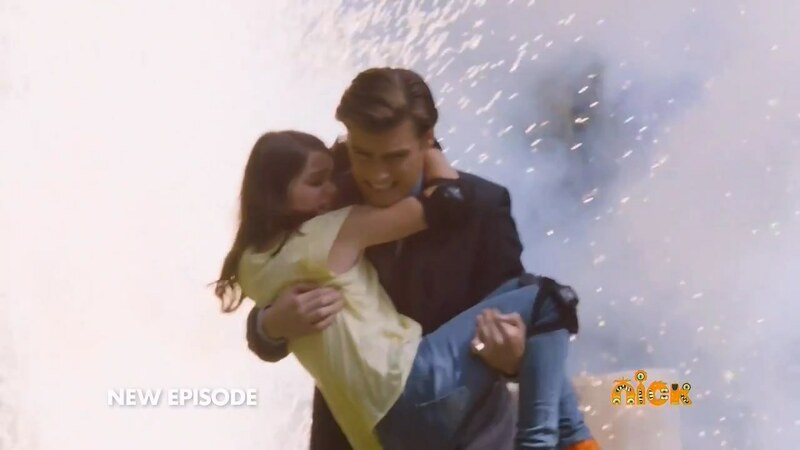 Although maybe it’s just me, but I feel like the subplot with Chase and him having to cut the time he has with his little sister could’ve filled an entire episode by itself. Maybe they couldn’t do that because the Sentai footage wouldn’t allow it (I admit I’m not an expert on Sentai stuff), but still, I think it could’ve worked better in a full episode. What was shown wasn’t bad at all, but that’s just my personal preference. The next episode I look forward to is the one in two weeks, with the introduction of the Purple Energem. I can’t wait to see how it all plays out. I agree, that really could have been its own episode. It’s always great seeing the Rangers’ family. I’ve mentioned before in other reviews, that one of the things I praise about the season has been character’s introduction. It has been handled very nice and story has been interesting. I have praised a lot for Ivan’s introduction, as one of the best 6th ranger introduction. While Phillip’s introduction wasn’t as interesting, it was still very decent. I really like Phillip’s character. While I do find him bit stiff in introduction, he’s become likable and charming. 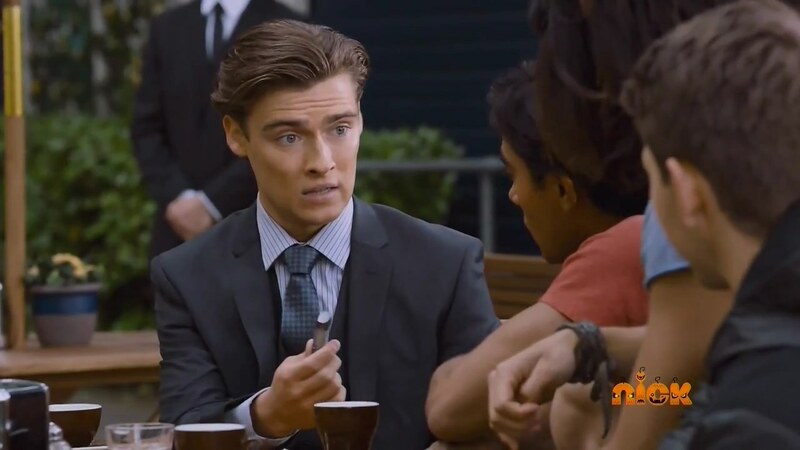 Jarred Blakiston is doing a very decent job so far and I’m looking forward to see more of him in future episodes. 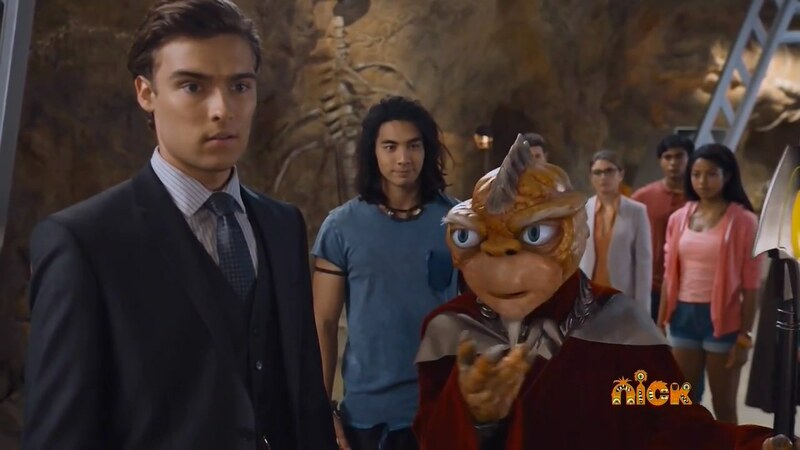 It’s also interesting that we have a first ranger from royalty (prince) AND wearing suit, which I find it to be refreshing addition to the franchise. On contrast, I really didn’t like Tessai. He was too stiff and hard-headed (no pun intended). I really couldn’t get into his characters. He wasn’t as offensive as main 5 casts, but he was still forgettable and lackluster. I also don’t like Masayuki Deai as an actor, since I really didn’t like him as Eiji/BoukenSilver in Boukenger. It’s nice to see a lot of original footage for Graphite, though it’s interesting that he has light blue sleeve. It does look bit awkward, but I think it matches well with greyish color. Is it me or does Phillip’s robot reminds me of Ingram from Patlabor or Adam from Shining Force series? I also find it interesting that title of this episode was changed from “Royal Sacrifice” to “Rise of a Ranger”; which reminds me of title for Terminator 3 (Rise of the Machines). Chase interaction with little girl was nice and cute. Koda’s interaction with Phillip was nice to watch. I really like the chemistry between these 2 characters. 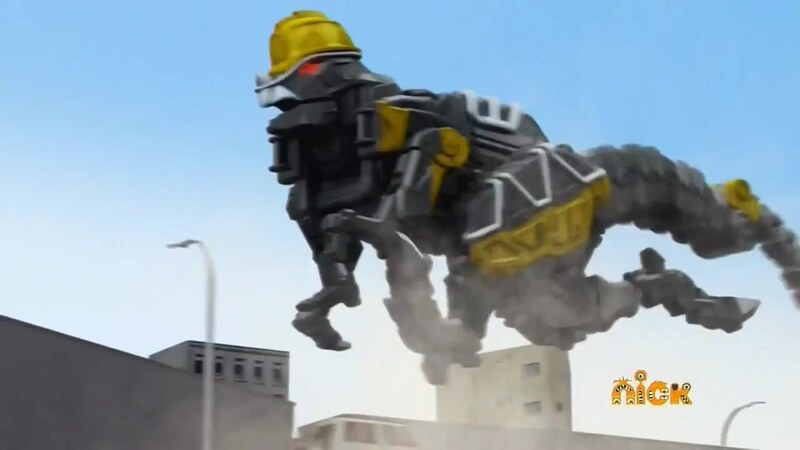 It’s nice to see new zord, Pachy, was introduced. I just wished this episode was aired BEFORE Halloween episode. Oh well. This was another solid episode for introducing new rangers. It’s been a while we had rangers this much. It’s nice to see 7 rangers morph together. 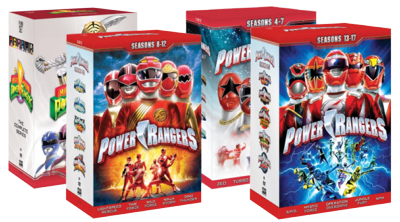 I’m really looking forward to see remaining 3 rangers: male and female (Kendall) Purple, male/female Aqua, and Silver. 7 down and 3 more Energems to go! It’s kind of interesting that Phillip shares same name as one of the main characters (Rider) of Kamen Rider Double, Philip (different spelling though); a series that was written by Riku Sanjo (who’s also a writer for Kyoryuger, a series that Dino Charge was adapted from). Chase also shares same name as one of the Riders of Kamen Rider Drive, Chase (same spelling! ); a series also written by Sanjo! This is just too good to be coincidence. I’m going to bet remaining 2 rangers (Aqua and Silver, who has yet to reveal their names), are going to share same name from one of the Riders. 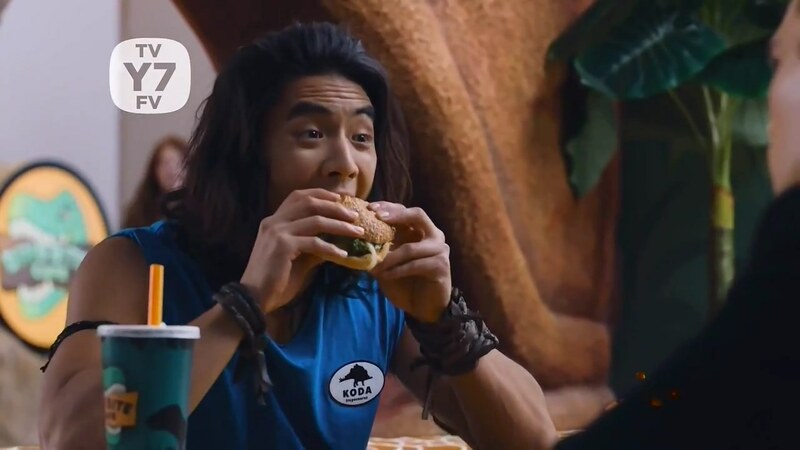 Maybe Aqua (male) can be Ryu (Asian) and Silver (likely Tyler’s father) can be Krim. Female Aqua can be Akiko or Kiriko. lol. Oh! I didn’t know Riku Sanjo wrote both Kyoryuger and Drive! Interesting! I think it’s a fresh dynamic having part-time Rangers, I guess you could call them. I think the other Rangers like Graphite and Aqua and Silver I guess won’t be around all the time, but will be there to help when needed? That’s different, so it will be nice to see.